If the client cannot access internet then make sure that DNS is set properly. On server set the DNS Address and check the client if its set or not. If it is not set then enable superclient and set it. Refer Set Static IP in client for setting up the DNS and IP in client. 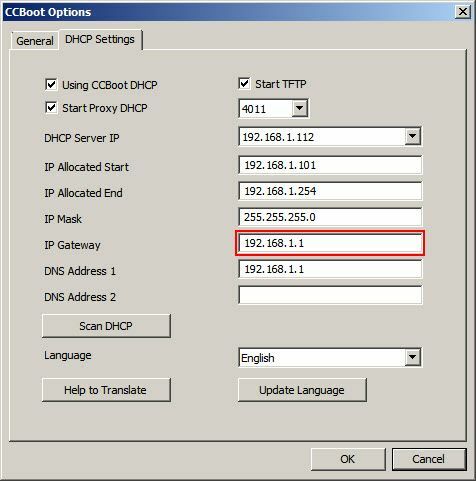 1) In the "CCBoot Options" dialog box, click "DHCP Settings" and please check the "IP Gateway" (Figure 1). 2) Now check, please check the "DNS Address 1" (Figure 2). 3) Now, double click the client that does not have internet access and check if its DHCP gateway us as same as "DHCP Settings". Note: If Client's DNS Addresses are not set it will take DNS from DHCP Settings. 4) Also, please check if there are other DHCP Services running on your network. If yes, then please disable them.